What’s the Best Metal Detector for the Beach? In this article, you will learn all about the best metal detectors you can use while roaming the beach. I’ll show you the differences between searching on freshwater and saltwater beaches and even provide you with five recommendations for the top detectors you can use on your next seaside treasure hunt. Now, if you are new to metal detectors, the beach is the perfect place to learn the ropes. Thousands of tourists flock to beaches each year and many leave behind jewelry, coins, and other valuable goods. Over time, these items either get buried deep below the sand or they wash out into the ocean, only to resurface far away on another sandy dune. 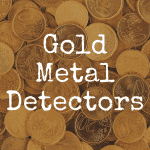 With the help of a good metal detector, you can discover these lost treasures and even sell them for a nice profit. 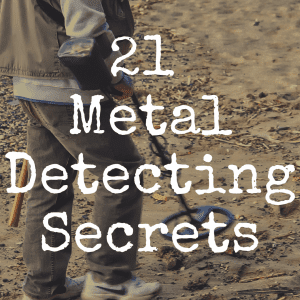 There are several things to consider when you’re shopping for your first metal detector to use on the beach. For example, will you be searching near fresh water or salt water? Do you need a detector that can search under water or will you stick to areas where the sand is quite dry? What kind of detecting features on the machine itself will help you better find hidden gems on the beach? Let’s take a closer look at which metal detectors are best for each situation and how you can ultimately find the right detector for your next beach adventure. Fresh water beaches are a fantastic choice for MD’ing (also known as “metal detecting” within this fun hobby) because they have oftentimes been a tourist hot spot for over 100 years. That means a lot of lost jewelry and metallic items have been lost over time. In fact, the older the beach is, the better your chances of finding some incredible treasures. Fresh water beaches will hold onto metallic items for much longer because there is no salt to corrode or damage. The only major downside to MD’ing near fresh water is the abundance of trash. Without large waves to carry trash away, it tends to get packed down in the sand and can impede your ability to detect valuable items. Bottle caps, bobby pins, and tin foil can give you false hopes before you find a really great treasure like a watch or lost ring. For best results, use your metal detector at fresh water beaches during the fall months. This is when the water levels tend to be lower and trash isn’t quite so fresh. If you prefer hunting at saltwater beaches, you aren’t alone. Many treasure hunters focus on salt water beaches because with more tourists visiting each year, they offer a high chance of finding something valuable. There are three distinct areas of a saltwater beach where you can search for buried treasure: dry sand areas, wet sand areas, and the underwater surface near the shoreline. Most searchers focus on dry sand areas where you can usually find moderate success using even median metal detector models. If you are going to focus on wet sand or underwater areas, you will need a detector that is designed to be waterproof and handle higher concentrations of salt and mineralization. The good news is that trash won’t be quite as much of an issue when you are searching on saltwater beaches. The salt tends to break trash down much faster, but on the flip side, your metal detector will also have to filter through natural mineralization and black sand deposits. Sand is usually much deeper on saltwater beaches and that can also pose challenges if you aren’t using a high quality detector. Are you ready to try hunting on the beach? If so, your first step is to choose a metal detector for sale that can stand up to the job. There are hundreds of models out there, but you need a high quality metal detector that is going to work in dry sand, wet sand, and even a few inches of water. Here are some of the best metal detectors for beach hunting. The Garrett AT Pro is a perfect choice for the beach and you can use it for both freshwater and saltwater. It is waterproof up to 10 feet, so you are safe to use it along the shoreline or even in shallow water areas. It offers three standard modes and three pro modes, so you can advance as you learn more about metal detecting and gain valuable experience. Best of all, the price is reasonable at under $1000 and it’s quick to set up so you can start hunting right away. The Tesoro Sand Shark is designed for beach hunting with pulse induction technology. You can use it in shallow water, wet sand, and some dryer areas as well. It comes with a lifetime warranty and takes 8 AA batteries to give you 10-20 hours of search time. Plus, the Tesoro Sand Sharks gives you the option to use interchangeable coils so you can switch things up if you are searching on a new beach and need to make adjustments for depth. This is a budget-friendly option so it’s perfect if you’re a newbie. If you want a metal detector that will work both on land and in water, the Garrett Infinium LS (Land and Sea) will be a good pick for you. It has maximum sensitivity so it will even detect small bits of gold buried deep under the sand. It works best in wet areas, but you can successfully use it for detecting at both fresh and saltwater beaches. The Minelab Excalibur II is a pricy metal detector, but it’s well worth it because you can achieve finds at great depths with maximum discrimination. It’s pretty heavy, but you can use a waist mount to make it more comfortable to hold. 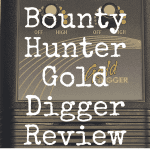 If you are serious about finding buried treasures on the beach, this is the way to go. The Cobra Wader works well on dry land and in shallow beach waters. 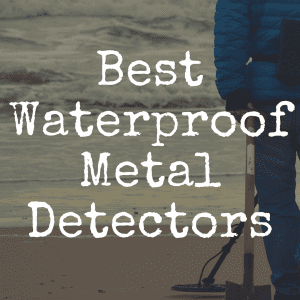 It’s one of the lowest priced metal detectors that are capable of handling a beach environment and at under $400, it’s a good starting point to get your feet wet with metal detecting. It offers a powerful signal that will let you find lost wedding rings, watches, or coins that were left behind after a day at the beach. After you choose your metal detector, you also need a few accessories to make hunting a little easier. Make sure you pick up a durable sand scoop to dig up your treasures and a pouch to keep your finds tucked away safely while you continue searching. You will also need a good set of headphones to drone out the noise of the surf and wind and keep the sounds of your MD (metal detector) confined to your ears only so curious kids don’t follow you down the beach asking questions. With a little time and patience, you will soon be finding lots of exciting treasures hidden on beaches in your area. Metal detectors are a fun way to see beyond the sand and shore to a whole new world of opportunity. Give it a try today and you will soon learn what the MD craze is all about! 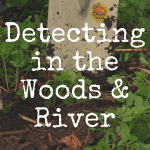 If this was a helpful article for you, please “like” our brand new Discover Detecting Facebook page! 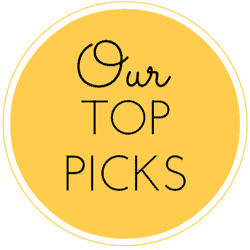 Bookmark our website to get more up-to-date reviews of metal detectors! 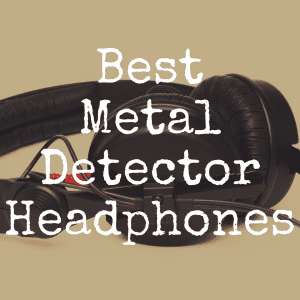 What’s the Best Metal Detector for Jewelry?